TE's Waterproof USB Type-C Connectors have industry-leading IPX8 water ingression performance per IEC 60529. These connectors are designed for use in harsh environment applications where moisture is present. 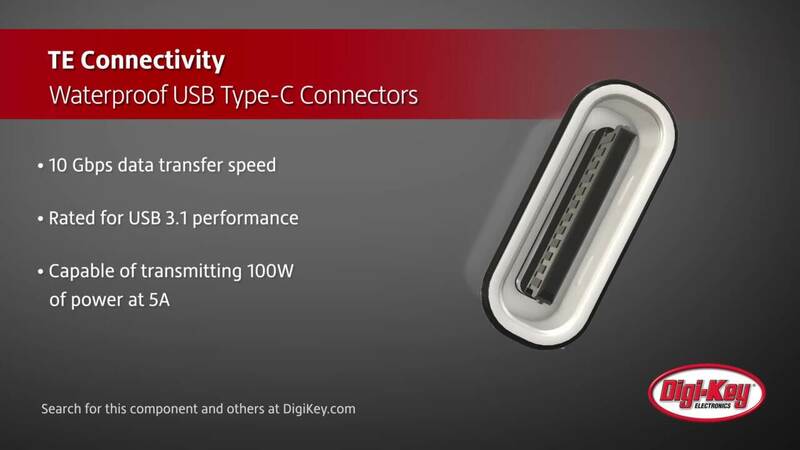 Capable of 10 Gbps data rates, these connectors are rated for USB 3.1 performance and are also capable of transmitting 100 W of power at 5 A. Added board retention and EMI protection features mean these connectors have a robust design, providing the reliability and quality TE is known for.